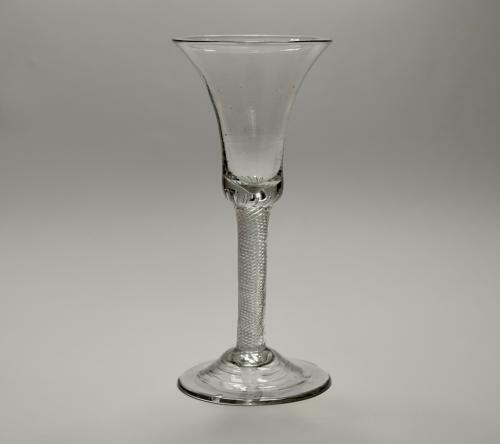 Air twist wine glass C1755. Multi spiral air twist wine glass. Bell bowl with solid base and plain conical foot. English C1755.